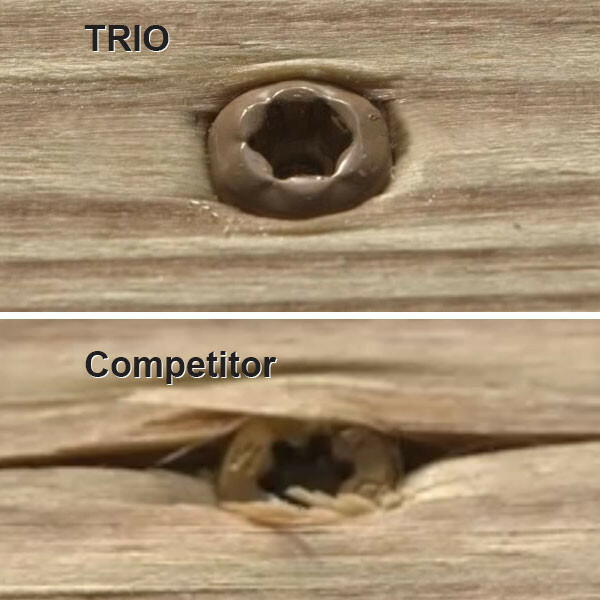 For great results in cedar, redwood, and pressure-treated pine decking, use TRIO Wood Deck Screws by FastenMaster to secure boards without stripping or splitting. 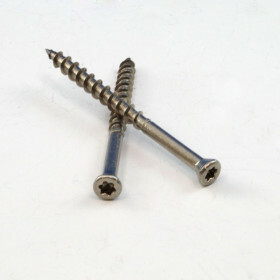 - Specially-designed driver bit (included with each screw package) won't wobble, slip, or cause stripping. 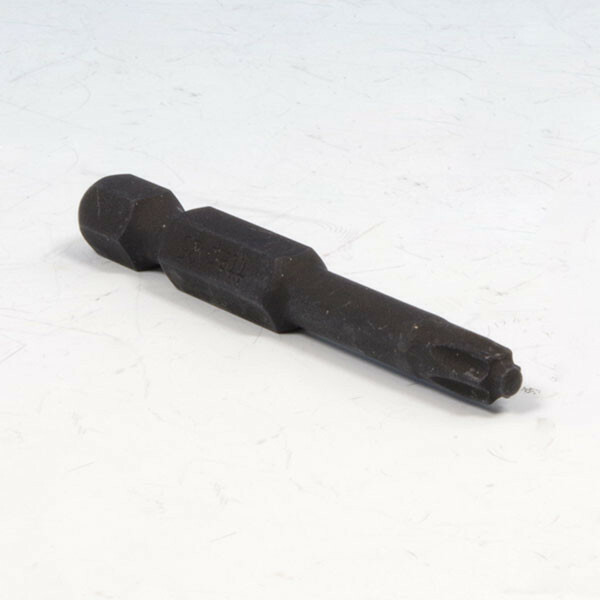 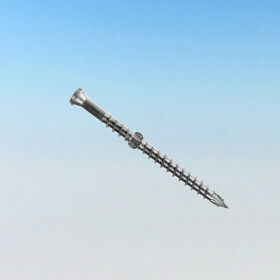 - Splitting during driving is eliminated because of the ThruPOINT tip which bores a pilot hole as it is driven. 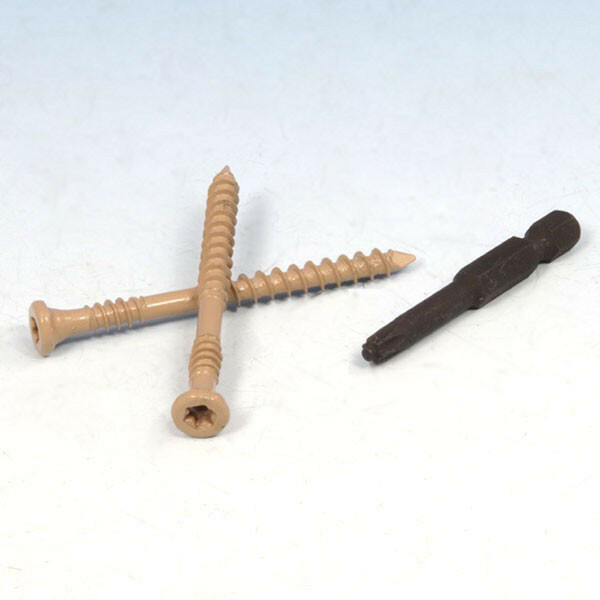 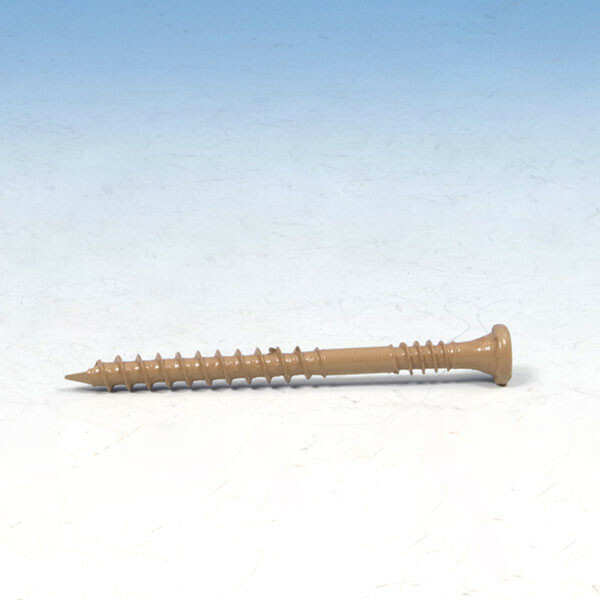 - The ultimate coating system (also UV resistant) provides twice the corrosion resistance of standard screws. 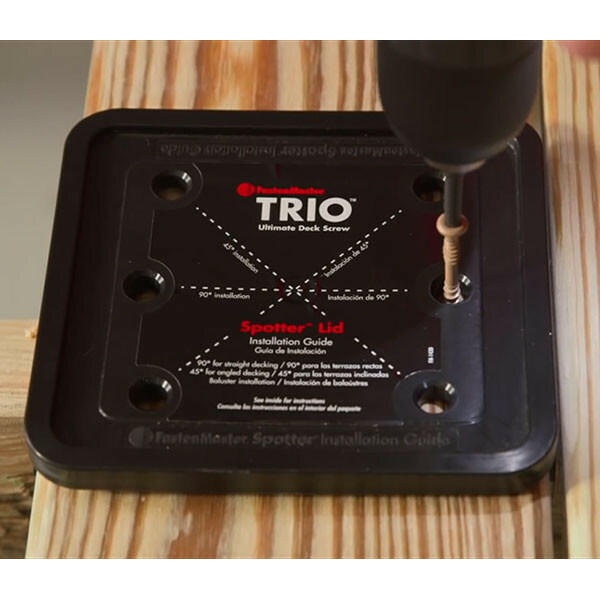 - Included with every 350 pc bucket is the TRIO Spotter Installation Guide. 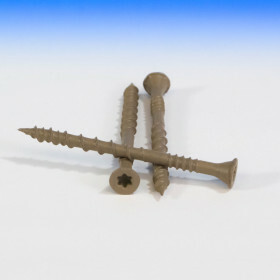 It provides deck board spacing and has handy screw guides for precise installation. 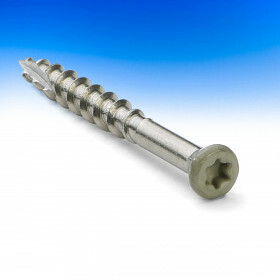 Screw Length 2-1/2" and 3"